Polycystic Ovary Syndrome (PCOS) is the most common female hormone disorder in the United States, affecting 4 to 10% of menstruating women, and is the most common cause of infertility. 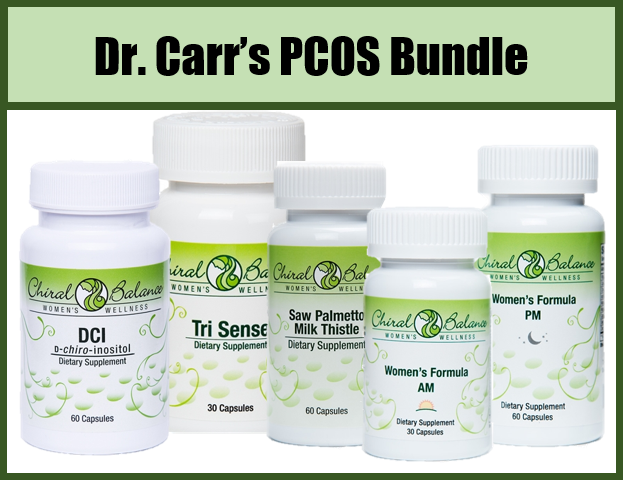 Dr. Carr has put together a bundle of supplements to help those suffering from PCOS. 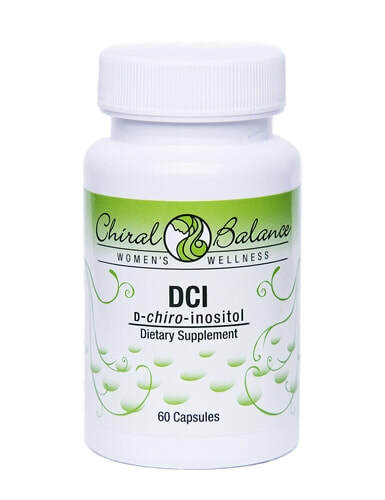 DCI is what is known as a secondary messenger in the insulin signaling process and is considered an insulin sensitizer. When you eat food, sugar is extracted and goes into your blood. Your pancreas releases insulin in response to the sugar. The insulin tells the cells of your body to either burn the sugar for energy or to store it as fat for later. As the sugar level goes down, the insulin level goes down as well. Insulin doesn't communicate directly with the cells, however. It communicates through a secondary messenger made out of DCI. Another important thing that happens to women when there is insulin in your blood: the ovaries release testosterone in response to the insulin. This is natural. As the sugar is disposed of, the insulin level goes down and the ovaries stop releasing testosterone. If you don't have enough DCI, the insulin level stays high, which means that the ovaries keep producing testosterone. This high level of testosterone is the origin of many of the signs and symptoms of PCOS—anovulation (not ovulating), irregular or absent periods, ovarian cysts, unwanted body hair, hair loss, belly fat, acne, infertility, etc. ​Saw palmetto slows the formation of the hormone DHT, thereby protecting the hair of the scalp and preventing it from falling out. It also protects the follicles over the rest of the body to keep body hair from growing longer, thicker, and darker. Saw Palmetto has long been trusted by PCOS women to help hair grow only where it is wanted. 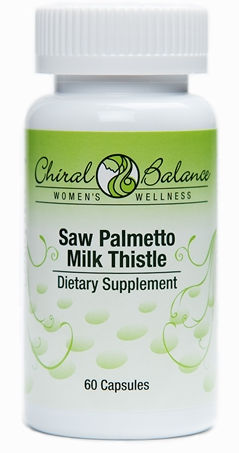 Our milk thistle seed extract is 80% silymarin, which been shown to protect the liver from stress and to help repair existing damage. The liver is the body's clearinghouse and must be in good working order to maintain healthy skin. 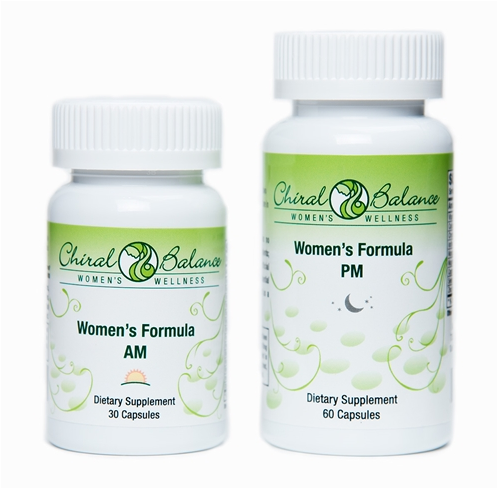 Our formula delivers 160 mg of silymarin in every capsule. 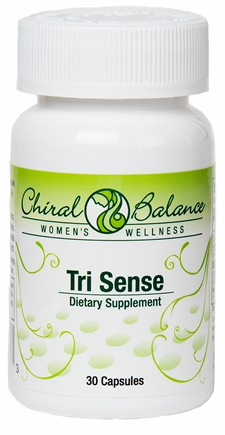 Each bundle includes 1 bottle of DCI, 1 bottle of Tri Sense, 1 bottle of Saw Palmetto/Milk Thistle, 1 bottle of Women's Formula AM and 1 bottle of Women's Formula PM.